*Editor’s note: For security reasons, some names are changed in this article. Join us in praying for those who come to Christ in areas where they may face persecution because of their faith, and for staff and volunteers who continue to share the Gospel no matter the risk. Men and women such as these represent millions of Arabic speakers who now have greater access to the Gospel through SalamMaaAllah.net. The website is an Arabic version of the Billy Graham Evangelistic Association’s (BGEA) internet evangelism site, PeaceWithGod.net. BGEA’s internet evangelism ministry, Search for Jesus, launched in 2011 to serve the increasing number of people turning to the Internet for answers about life, relationships and faith. Through websites in various languages, the ministry’s online coaches personally connect with users worldwide by helping them realise their need for God. After its initial launch, the ministry grew to include fully developed websites in English, Spanish and Portuguese—leading to more than 12 million people indicating decisions for Christ. As the team celebrated God’s work through internet evangelism, they also noticed an increase in Arabic speakers coming to PeaceWithGod.net for answers. This site clearly presents the Good News of Jesus. The English version of PeaceWithGod.net receives about 700,000 visitors a month—and about 15% of those visitors are accessing the site from Arabic-speaking countries. After months of prayerful research, BGEA launched an Arabic version of PeaceWithGod.net in December 2017. Nearly 90,000 people have visited SalamMaaAllah.net since its launch. The ministry’s Facebook page has upwards of 140,000 followers, and more than 70 Arabic speakers have indicated decisions for Christ. 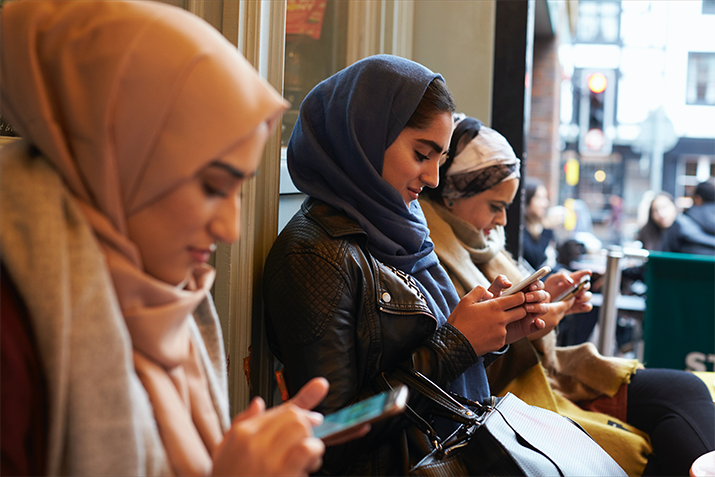 By targeting topics relevant to the Middle East and North Africa, the SalamMaaAllah.net team—which recently expanded to include six volunteers—is having about 140 conversations a week with Arabic speakers through the social media platform. An Arabic online coach from BGEA replied and explained the good news of God’s love, mercy, justice and sacrifice. After continued conversation with the online coach, Ali asked how he could become a follower of Christ and prayed to accept Jesus as his Lord and Savior. Another young man, 20-year-old Maher* from Iraq, responded with similar enthusiasm after an online coach explained the Gospel. Arabic speakers such as Ali and Maher—who have made decisions for Christ through SalamMaaAllah.net—continue to message our team with prayer requests and to discuss passages of Scripture. The internet evangelism team gives God glory for all He has done through SalamMaaAllah.net. With resources available in the top five online languages, BGEA has the potential to share the Gospel with 60 percent of online users and more than one-third of the world’s total population. “Billy Graham used everything at his disposal for the clear explanation of the Gospel,” the Arabic language manager said, explaining how BGEA has continued that legacy through its internet evangelism ministry. Do you have questions about life, relationships and faith? Chat with one of our online coaches.